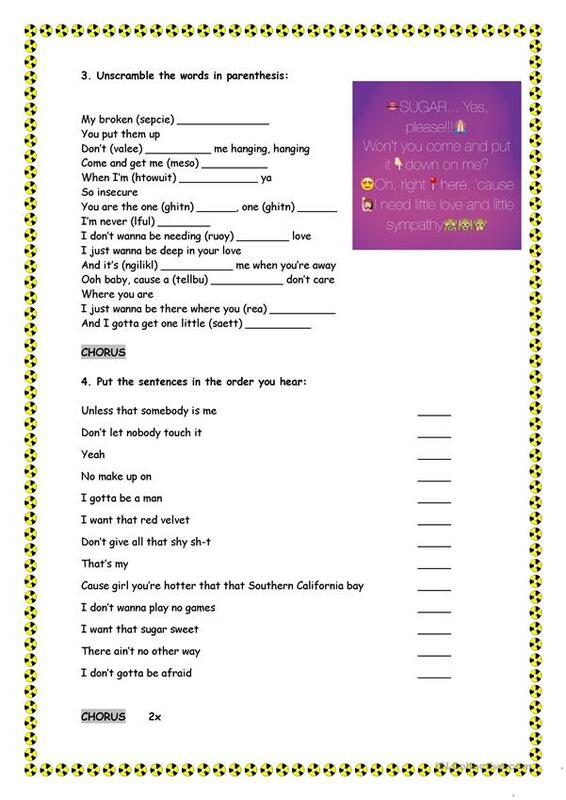 Worksheet to work on the song vocabulary. Activities such as fill in the gaps or order the chorus are included. 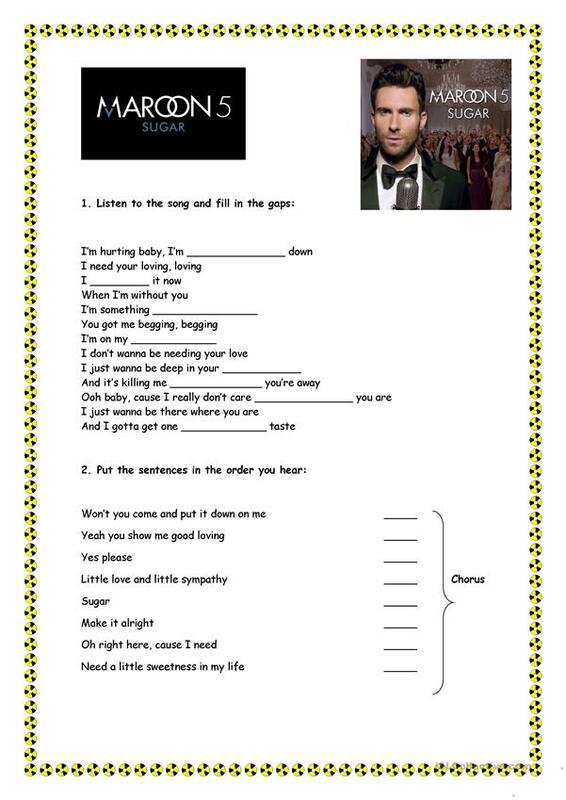 You can also use the video clip and talk about it in class. The present downloadable handout is best suited for high school students and adults at Beginner (pre-A1), Elementary (A1) and Pre-intermediate (A2) level. It is useful for working on your pupils' Listening skills. miriammart32 is from/lives in Spain and has been a member of iSLCollective since 2012-10-10 10:59:26. miriammart32 last logged in on 2019-04-18 10:20:45, and has shared 11 resources on iSLCollective so far.